When it comes to memorable occasions, graduation is one of those events that goes down in our personal history books as a big milestone. It’s a day remembered, and we have some personalized gift ideas that will forever mark the event in a visual time capsule. 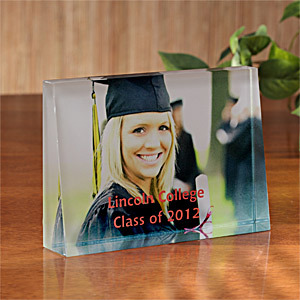 One such place to personalize graduation gifts is at the Personalization Mall, where we found various ways to turn your gift into a keepsake. Personalized photo frames – this could be a photo frame with custom inspirational words, or an autographed frame (a new version of an autograph book!). Personalized engraved plaque keepsakes – these are usually carved in crystal or stone and permanently transforms a photo into a piece of art. 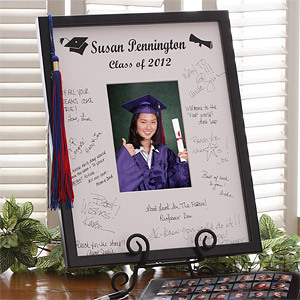 Personalized canvas art – this custom art piece celebrates the graduates major achievements with personalized words professionally produced by an actual artist. 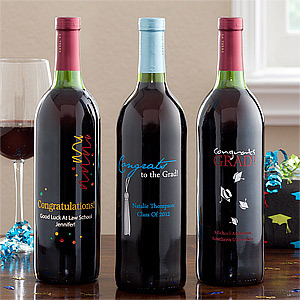 Personalized graduation wine bottle art – more suited for a college graduate, this bottle has etched designs, skillfully hand-painted. 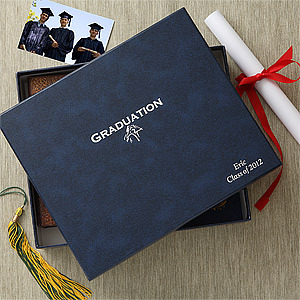 Personalized graduation keepsake box – a box that can hold diplomas or certificates, caps, autograph books, cards, special awards, just about any memento. 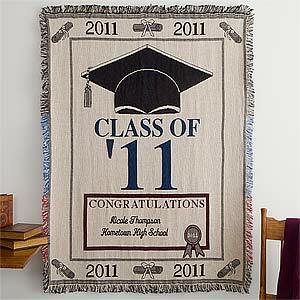 Embroidered graduation afghan – a nice way to say congratulations to a graduate. 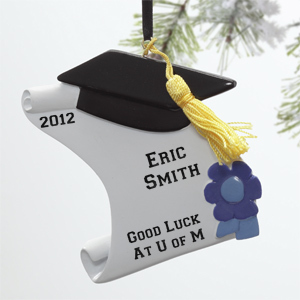 Graduation diploma personalized ornament – something like this can be for a high school or college graduates, and is laser-engraved with a custom message. 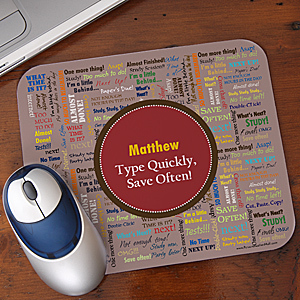 Personalized mouse pads -this type of gift idea for graduates is something they can not only cherish, but actually use for years to come. 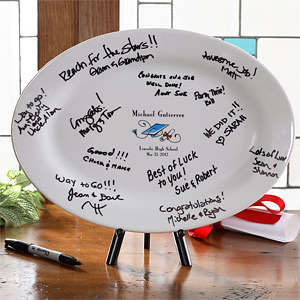 Graduate custom signature platter – the platter is decorated with mortarboard and diploma graphics, along with the graduate’s name, school and graduation date. A permanent black pen is included for friends and family to sign their names on platter and create a one-of-a-kind piece. 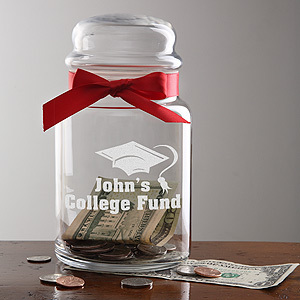 College fund personalized money jar – the jar is custom engraved and adorned with a removable ribbon. It is personalized with a name. 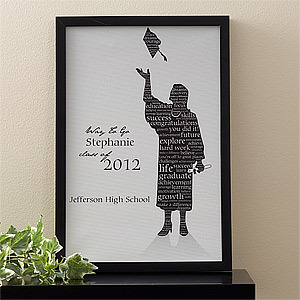 What are some graduation gift ideas you have, or have given or received?